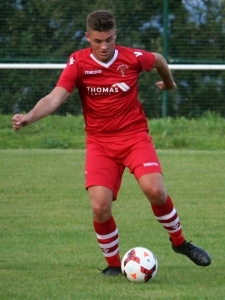 Tom Gunson is in his third season with the club having joined us from Hawarden Rangers’ youth system and we have seen a gradual improvement in him over the past year. He has scored plenty of goals for the club in the WNL Reserves & Colts and Reserves Divisions. Now we want to see him replicate that within the first team environment. He is tall and can cause defences problems with his physical presence.